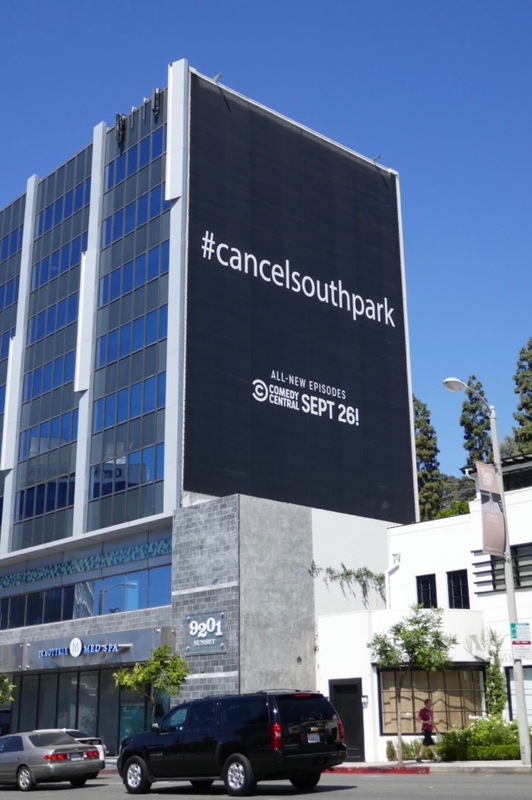 Is the end nigh for Matt Parker and Trey Stone's long-running animated hit South Park? 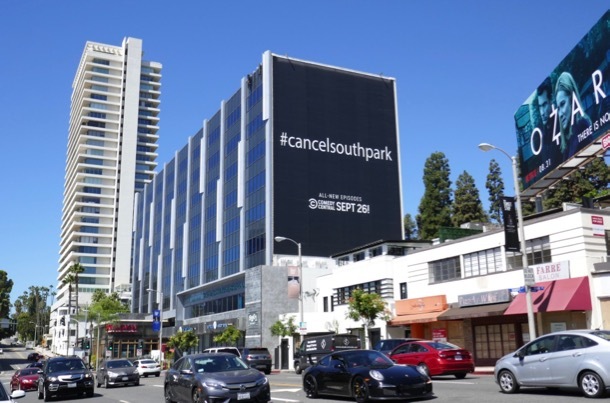 These ominous #cancelsouthpark billboards don't seem to bode well for the series, but as the show has just returned for a twenty-second season it's not over yet for 'Cartman', 'Stan', 'Kyle' and 'Kenny'. Why would Comedy Central champion cancelling one of their highest rated shows? 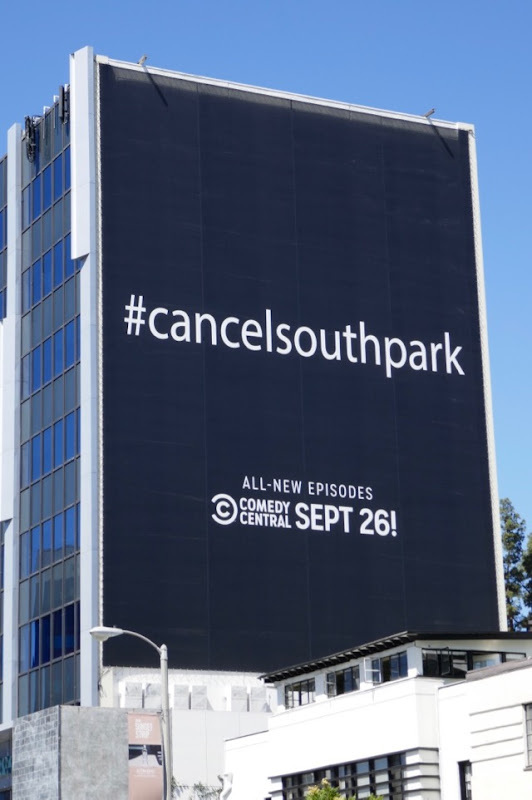 This reverse psychology outdoor ad campaign challenges passersby to check out the new episodes just in case they may be the last and encourages die-hard fans to show their support for the continuation of their favourite show. 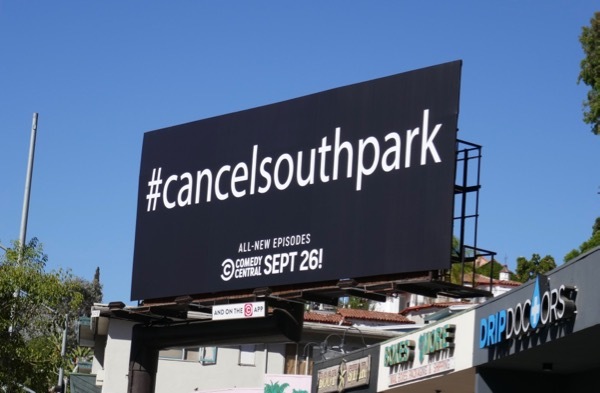 These bold and simple billboards for season twenty-two really stand out around town and were snapped along the Sunset Strip and Santa Monica Boulevard from September 15 to September 22, 2018. 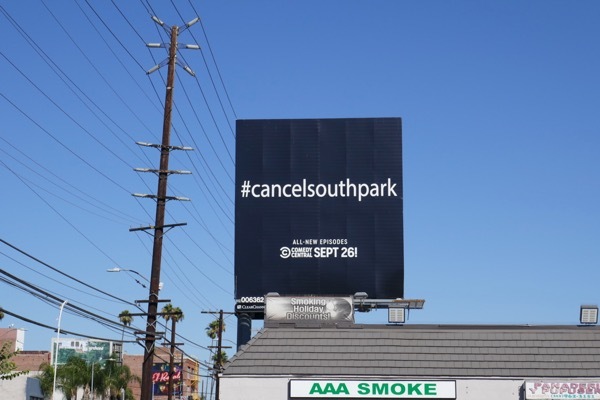 Fans of the provocative adult animated series can also enjoy these previous season promo billboards for South Park from recent years. These days in television's competitive landscape it's a miracle if a show lasts a whole season or two, let alone runs for over twenty years, but all good things must come to an end. So is this the ultimate fake out, or a sign of things to come?